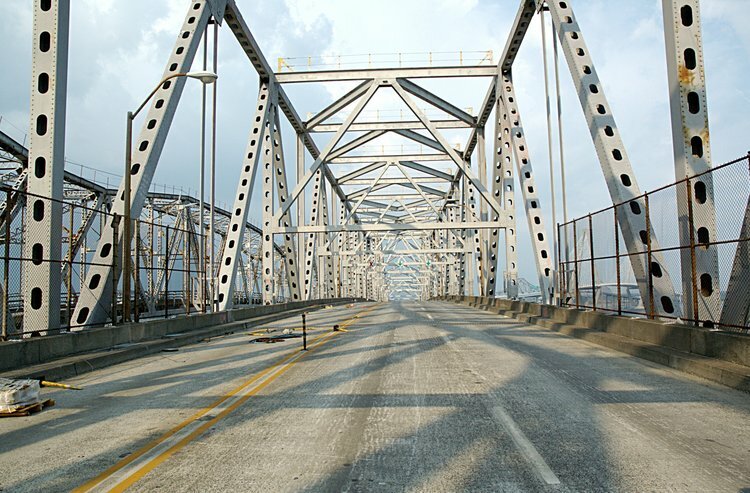 Can you image the Pearman bridge without traffic? My Sunday morning bicycle rides were never like this - even at 7am! Today's lesson - These guys exhibit the skills of a surgeon and dentist. 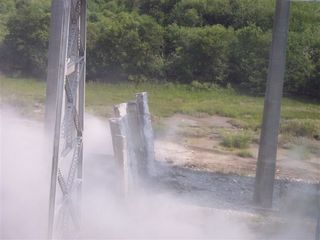 Imagine, having to remove these bridges and extract the supporting structures with minimal disturbance. 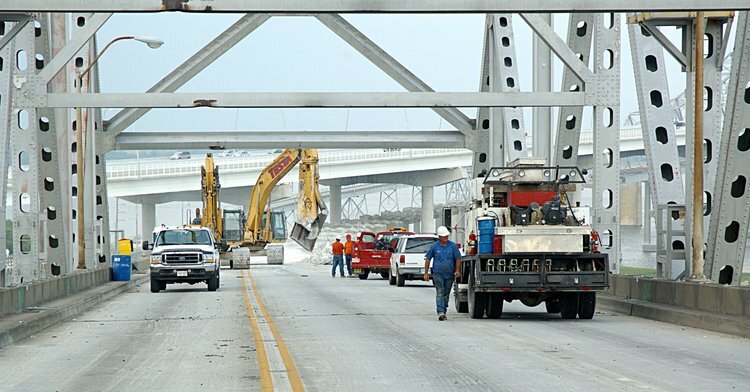 Yesterday, you saw from Sparky's photos that the Pearman girders end up in a vertical position. 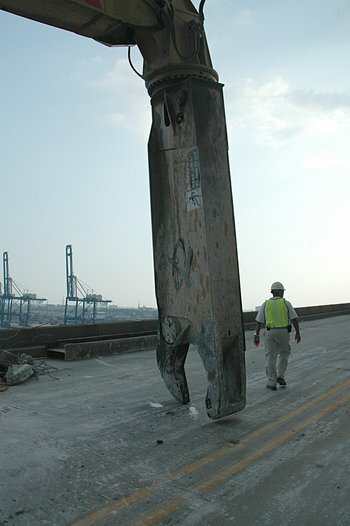 Here is a view of the Pearman caps - extending almost all the way to the steel superstructure. 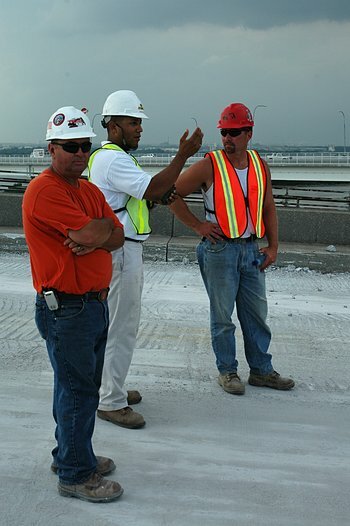 We all see the Testa guys working on the road surfaces, but unable to see what is actually happening. 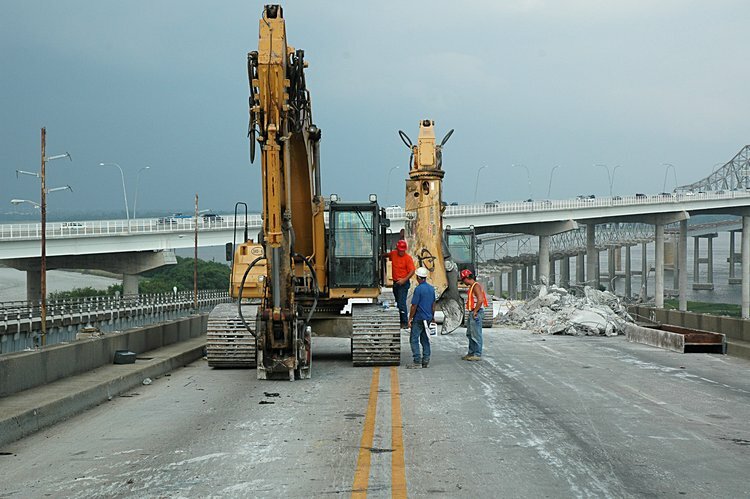 Here you can see how they use their shears and grapples to chip away at the roadway between supporting girders. 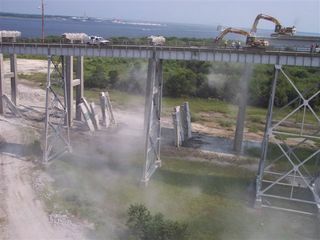 Once the between-girder roadway has been removed, the girder can be prepared for removal and dropped (vertically) into the sandy base under the bridge. Again, the surgical precision of the removal operation is impressive. 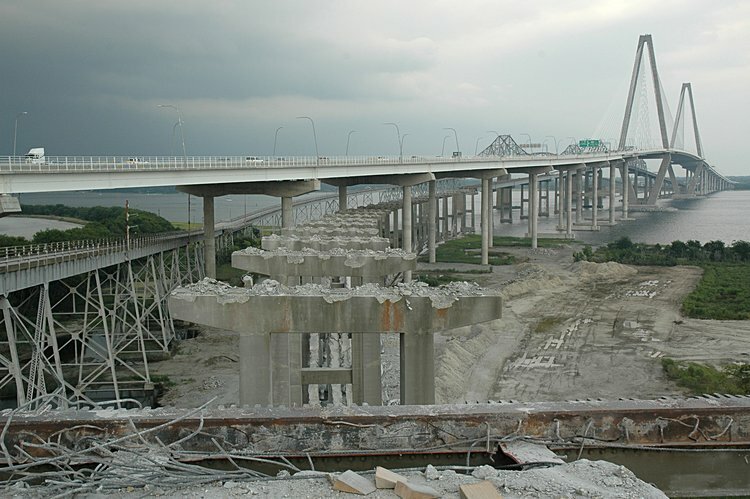 Note near the middle of the image, the relative position of the girders dropped near one of the supporting columns of the Ravenel bridge approach. 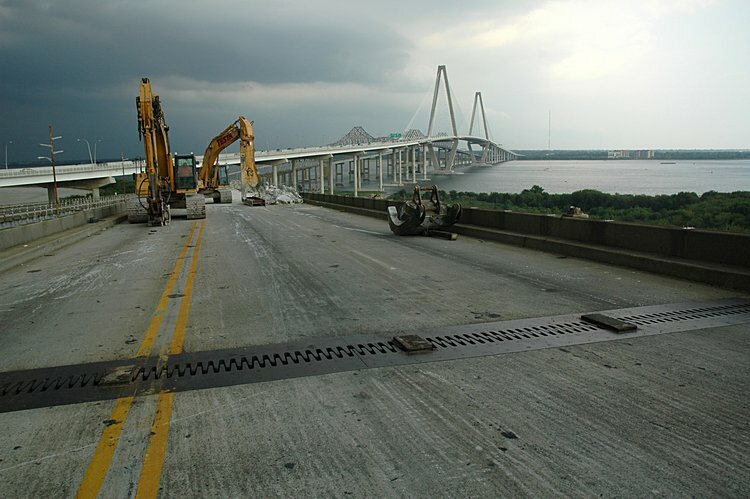 There is about 4-5 feet of clearance between the Ravenel support and the dropped girder. Neurosurgeons at work here! 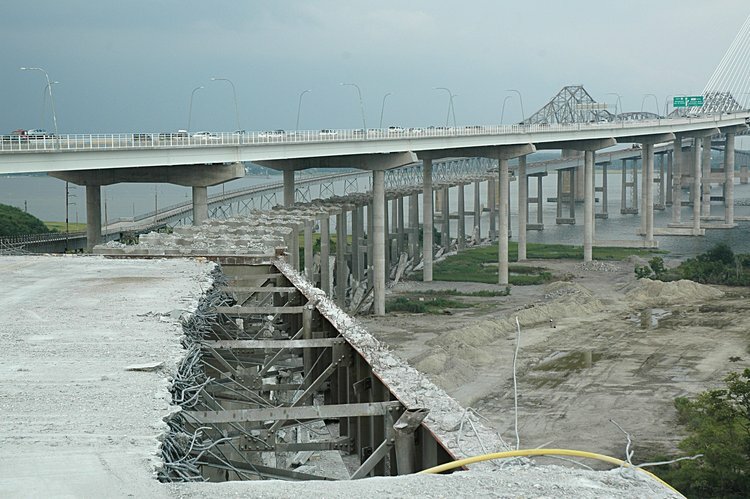 To stabilize the segments east of the expansion joint, it is welded together thus providing additional stability to the remaining segments.